Time is growing short for the 2019 legislative session. Adjournment is expected in a month or less. And that means the final crunch is about to begin. "We've got all these bills at the top of a funnel," said Rep. Dylan Giambatista (D-Essex). "Only some of them will get through. It's funnel time." That process will take place over the next two weeks. Here's an educated look at key bills — where they are and where they might end up. 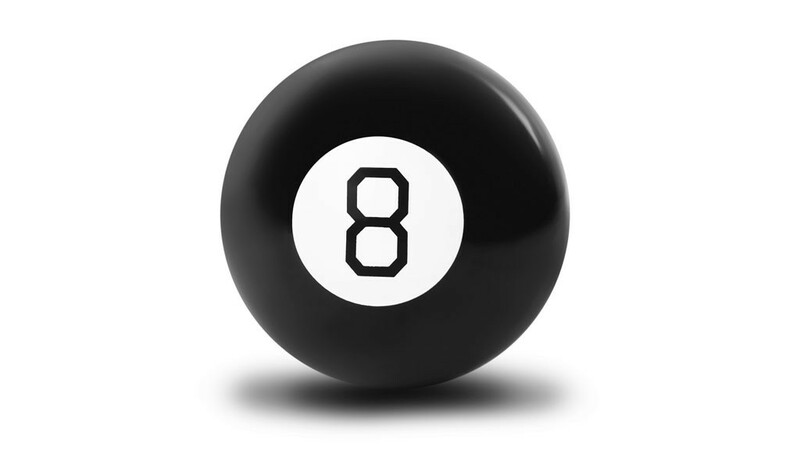 We'll even consult the Magic 8 Ball for insight. A couple of things to bear in mind: First, this is year No. 1 of a biennium. Any bills that aren't passed before adjournment will get a second chance in 2020. That reduces the pressure to get things done right now. Second, we're evaluating chances for legislative passage this session. We'll save our assessments of possible gubernatorial vetoes for another day. Full cannabis legalization: In 2018, the legislature legalized cultivation and possession of marijuana in Vermont. This year, the Senate has approved S.54, which would establish a taxed-and-regulated cannabis marketplace. The bill is currently before the House Government Operations Committee, whose chair, Rep. Sarah Copeland Hanzas (D-Bradford), believes that it "absolutely can" be approved by the full House this year. Others are not so certain. After Gov Ops, the bill has to go through the Ways & Means and Appropriations committees. "We've never had a cannabis revenue bill," said Ways & Means chair Janet Ancel (D-Calais). That's legislative code for, "We might need to take time," and time is in short supply. Magic 8 Ball says: "Don't count on it." Abortion rights: The House has approved H.57, a bill to codify abortion rights in state law. The Senate has approved Proposition 5, which would establish full reproductive rights in Vermont's constitution. The latter must be adopted by a majority vote in the House this year or next. It would then wait until 2021, when both chambers would have to approve it again by majority votes. If all that happens, it would go to a statewide vote in November 2022. There seems to be no doubt that Prop 5 will clear the House and H.57 will sail through the Senate this year. Magic 8 Ball says: "You may rely on it." Paid family leave: The House has approved H.107, which would establish a statewide family and medical leave program funded by a tax on employers and employees. (For an in-depth report, see "Family Peeve.") It's a top priority for House leadership but faces a cooler reception in the Senate, which favors increasing the minimum wage as a way to help working Vermonters. "We have some work to do to convince people," said Senate Majority Leader Becca Balint (D-Windham). "There may be some changes [in H.107] on the Senate side." It's doubtful the Senate would completely ditch the House bill in favor of Gov. Phil Scott's proposal for a voluntary leave program, but it could modify the benefits or eligibility levels approved by the House. "I think we have the votes in caucus," Balint concluded. Magic 8 Ball says: "Signs point to yes." Minimum wage increase: Same song, different verse. The Senate has approved S.23, which would raise the minimum wage to $15 per hour by the year 2024. The House needs some convincing. "It's a very tough conversation," said Rep. Tom Stevens (D-Waterbury), chair of the House General, Housing and Military Affairs Committee, which is now considering the bill. "We've heard strong testimony on both sides." Still, he thinks the bill will clear his committee by the end of next week. After that, "I'm optimistic we'll get it done," said House Majority Leader Jill Krowinski (D-Burlington), who predicts "some minor changes, but I expect it to move through the House. It's a priority for the caucus." Magic 8 Ball says: "Outlook good." Clean water funding: This is the great unresolved question of the 2018 session: How to pay for a federally mandated program to make Vermont's waterways cleaner. The Senate approved a bill creating a framework for administering the program — but failed to specify where the money would come from. That hot potato has been tossed over to House Ways & Means. "My intent is to create a funding source," committee chair Ancel said. "We're looking at a bunch of ideas." She would not name any of them, but she did list some principles guiding the discussion. Scott's idea of using the estate tax is out, as is taking proceeds from existing sources such as income or property taxes. "The [U.S. Environmental Protection Agency] says it has to be a dedicated revenue source," Ancel said, adding that she prefers a source that has "some connection to water." That could mean a per-parcel fee — an annual assessment on property owners — which Treasurer Beth Pearce originally proposed in her 2017 study of the issue. Temporary funding, established by the legislature two years ago, expires this summer. Lawmakers are under pressure to deliver a replacement before then. Magic 8 Ball says: "Yes, definitely." As for the details: "Ask again later." Waiting period for handgun purchases: The Senate has adopted S.169, which would mandate a 24-hour waiting period before purchasing a handgun. It now awaits action by the House Judiciary Committee. Sen. Phil Baruth (D/P-Chittenden) calls it "basically a leadership issue at this point," meaning it's up to them. Those leaders are preaching caution. "We're actively talking to caucus members," Krowinski said. "We're getting a lot of questions." She then implied that the bill might be held over for 2020: "It's a piece of legislation that people need some time with." Ouch. Magic 8 Ball says: "Don't count on it." Weatherization: The House approved a bill that would increase the tax on heating fuel by two cents to pay for an expansion of the state's home weatherization program for low-income Vermonters. The fuel tax was quickly shot down by Senate President Pro Tempore Tim Ashe (D/P-Chittenden), who views it as regressive. But that doesn't mean the concept is dead. "We want to commit at least as much money to weatherization as the House, if not more," Balint said. But the Senate will almost certainly identify a different revenue source. What might that be? "We're in the noodling phase," said Balint, refusing to identify any ideas or even general principles. Senate leadership is interested in expanding the program to working-class and middle-class Vermonters who also have difficulty affording home weatherization. Balint acknowledged that the move would make the program "more broadly appealing politically." Magic 8 Ball says: "You may rely on it." Lead testing for school drinking water: The Senate quickly approved a bill to test school drinking water for lead. This seemed like a no-brainer in January, but the bill has been languishing in the House Education Committee, which embarked on a broader discussion of school health, safety and infrastructure issues. "They have slow-walked it," said an exasperated Baruth, the bill's original sponsor. Education Committee chair Kate Webb (D-Shelburne) offered no apologies, but acknowledged pressure "to get this done quickly" so lead testing and remediation can be done before schools open this fall. On passing a bill, Magic 8 Ball says: "It is certain." But on the details: "Concentrate and ask again." Act 46 implementation delay: Both chambers want to smooth the process for school districts that are behind schedule on implementing merger plans under Act 46, a 2015 law meant to encourage — and eventually require — district mergers. But the House and Senate differ on exactly how to do that. The issue is now before a conference committee of the two chambers, which had its third meeting on Tuesday morning. "We're making headway," said Baruth, chair of the Senate Education Committee and cochair of the House-Senate panel. He hoped to reach agreement by the end of this week. Magic 8 Ball says: "Without a doubt." Rural broadband expansion: The House has approved a bill that would provide more funding for broadband development throughout Vermont. The money would come from a half-cent increase in a fee levied on every phone bill in the state and would pay for grants and loans to community-based providers such as the Upper Valley's ECFiber. The bill is awaiting action in the Senate Finance Committee. "I'm hopeful we'll see it pass," said the bill's lead sponsor, Rep. Tim Briglin (D-Thetford), chair of the House Energy and Technology Committee. Balint is pumping the brakes a bit. "I like the House's idea of giving grants to local entities," Balint said. But, she added, "We are really coming up to speed on these issues." That's usually code for "Not now or anytime soon." But Balint does expect action of some kind. "My guess is we will get parts of the House bill passed," she said. "Others may wait until next year." That could include the funding increases, which Balint's colleagues support — in concept. More code. Magic 8 Ball says: "Reply hazy, try again." Buprenorphine decriminalization: A bill introduced in the House would decriminalize possession of buprenorphine, a slow-acting opioid that can help to fend off the symptoms of withdrawal from much more powerful drugs such as heroin and fentanyl. Supporters say ready access to "bupe" can save lives by helping users wean themselves from harder drugs. Opponents say it should only be administered by prescription. The bill is now before the House Human Services Committee. "It's a complicated issue," said committee chair Ann Pugh (D-South Burlington). More code for "delay." But in this case, Pugh added, "I'm confident we will say yes." The bill would then go on to the House floor, where Krowinski is ready with more code words. "I'll have to get back to you on that," she said. Doesn't sound promising. And even if the full House approves decriminalization, the Senate wouldn't take up the bill until next year. Magic 8 Ball says: "Outlook not so good." This is when legislative leaders earn their stripes. With time running short, they have to make the tough calls and ensure that key bills cross the finish line. "Funnel time" will determine the success or failure of the Democratic/Progressive supermajorities to deliver on their 2019 agenda. If they can pass — and avoid or override gubernatorial vetoes — on bills such as paid family leave, minimum wage, abortion rights, cannabis legalization, funding the waterways cleanup and weatherization, they could rightly claim success. If not, the Vermonters who sent all those Dems and Progs to Montpelier may start wondering if they invested their votes wisely. Correction, April 17, 2019: An earlier version of this column misidentified the Senate committee considering H.513, the broadband expansion bill. The bill is currently pending before the Senate Finance Committee.